The National Ski Area Association partnered with the National Ski Patrol, the Professional Ski Instructors of America, American Association of Snowboard Instructors, and Willis and AIG Insurance companies to promote safety education for all of those that love and enjoy skiing and snowboarding. The Safety Initiative Campaign is a joint effort to get more awareness out about ski and snowboard safety, and this week, January 16, 2010 through January 22, 2010, was declared National Ski Area Association Safety Awareness Week. The primary goal of all of the events that are taking place this week across ski areas in the nation is to further reduce the frequency of accidents and unify those in the industry and those that love the sports to focus more on proactive safety. Throughout the ski resorts and ski shops in our country this week you will find educational events that revolve around snow safety, Ski Patrol open houses, and vouchers and coupons for premium safety equipment, including helmets. One of the biggest reasons for accidents out on the slopes is that skiers and riders are not paying attention to the safety signage posted all around the slopes. As always, you should read the Skier/Rider Responsibility Code and be well aware of all signs around the resort at which you are skiing or boarding. If you follow these easy, common sense guidelines provided by the National Ski Areas Association, you can avoid many of the common accidents that occur out on the slopes. These guidelines are just a few of the major things you should pay close attention to and be aware of. 1. Always Stay in Control – ski or board at a pace that is appropriate for your level. 2. People ahead of you always have the right of way. 3. When stopping, stop in a safe place, off to the side and out of the way, so that others can continue to ski in a normal pattern. 4. Whenever starting downhill or merging, look uphill and yield to those skiing or boarding down past you. 5. Use devices to help prevent runaway equipment; today’s new models of skis/boards and poles can easily be kept in place even during big spills. 6. Observe signs and warnings and keep off closed trails. 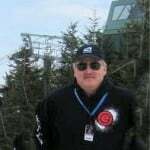 For news and information related to the North Carolina Ski Resorts, click to SkiNorthCarolina.com. Browse our site and you will find weather forecasts for the Ski Resorts North Carolina, information on the North Carolina Ski Resorts’ upcoming events, slope conditions and trip reports. Also, we have a wealth of lodging, dining, shopping and information about the ski shops near all of the North Carolina Resorts that you love. If you are planning a North Carolina Ski Trip, start your planning here! Previous article3rd RAIL JAM to be held at Beech Mountain this Saturday!!! Next articleGo play in the rain, wintry mix, sleet, whatever!